As one of the undiscovered joys of the South Wast Lake District National Park, Barrow is Cumbria's largest town. There are heaps of shops, indoor markets and museums surrounding the large pedestrianized town centre. One of the towns flagship attractions is the Dock Museum, housed within an original Victorian dock, offering fascinating insight into the towns history. Barrow also boasts a fantastic coastal location, providing miles upon miles of beaches and nearby islands. One of the must sees is the Piel Castle, a 14th Century stronghold on the island of Piel, accessible via a short ferry trip. Ruins of Furness Abbey are also local and are a fascinating insight into the areas history. 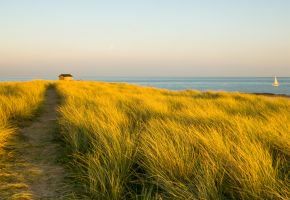 If you prefer nature to history, Barrow also boasts three nature reserves, two of which are in Walney, and offer a hug array of wildlife to enjoy. And being only 20 minutes from the Lake District, Barrow also serves as a fantastic base for those looking for a gateway to the park and it's stunning scenery.